This stuff worked like magic. If I had a break out I would wash my face with some face wash, dry off, apply the pad on, let the solution dry and put on a face moisturizer and in a week or two I would have clear skin again. The secret ingredient is 2.5% benzoyl peroxide. Use it before going to sleep instead of in mornings because your skin will darken if exposed to sunlight. Also always moisturize afterwards since it tends to dry the skin otherwise. It worked so well they had to stop making the stuff since I didn't see it on store shelves anymore and some googling confirmed that it indeed had been discontinued. It's either that or it causes some crazy cancer in people, or maybe we're now at war with the country that supplies 100% of the world's benzoyl peroxide. 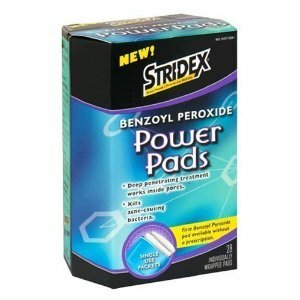 Now they sell pads with salicylic acid which are pretty weak. What we hide under building 230? Tomato Sauce or Olive Oil?